For some reason people often ask what my desk looks like. I even have an entire category dedicated just to desk photos. Unfortunately I had not had a picture of the final desk I had in the Lake City house, which was one of my favorites. I found one! This is my desk circa Jan 13, 2016. 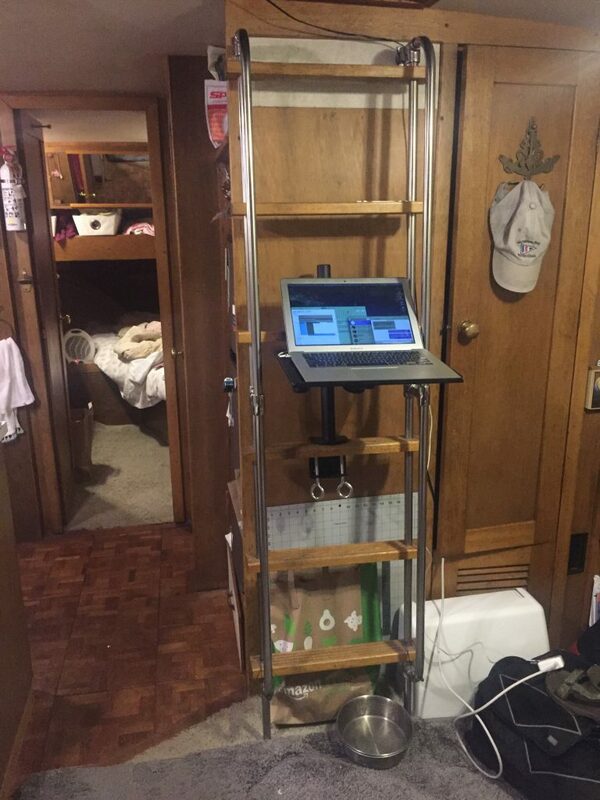 It is a standing desk, built from a (musical) keyboard stand and a bass guitar case. It was rather enjoyable to use. Just ran across this photo of a desk from years gone by. 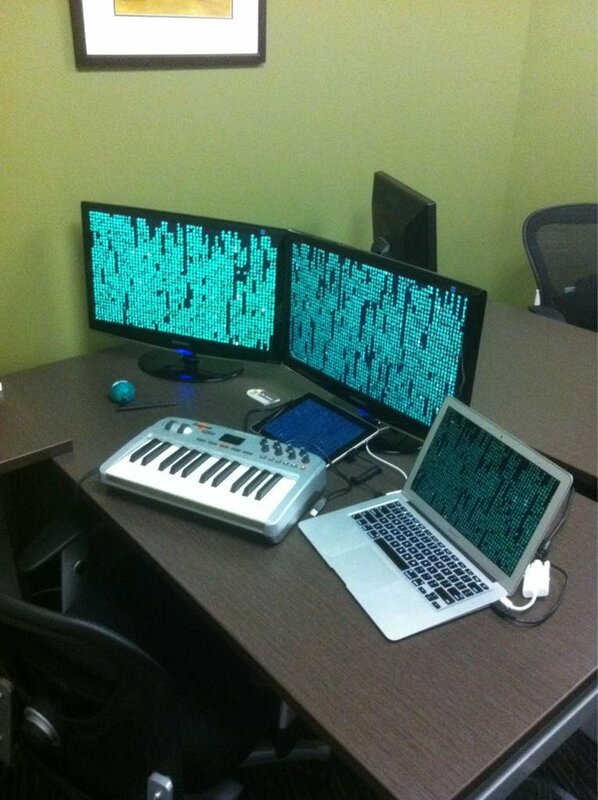 This was my workstation when I was working at Freshmuse as the Director of Engineering in 2012. Now that I am married I am again a landlubber :'(. The upside is that I can setup my full office space again. 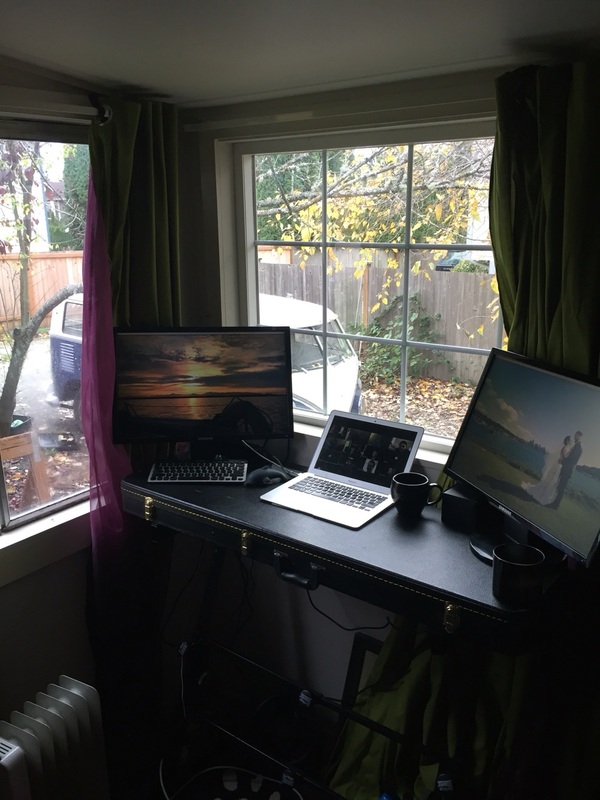 I have wanted a true standing desk for a couple years. I have been experimenting with the concept using a musical keyboard stand and my bass guitar case. So far I am really digging it. 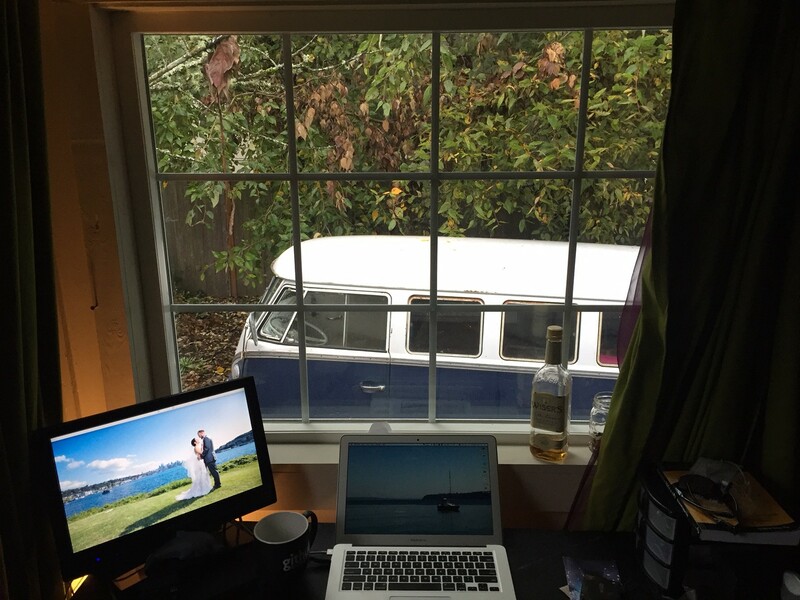 And being able to look out at my 1965 VW Bus is an added bonus. 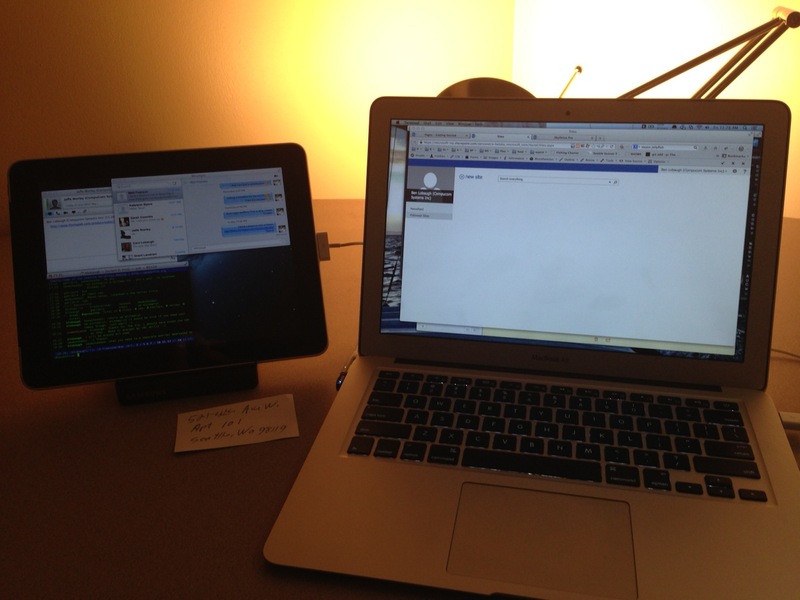 This photo harkens back to late 2012 when I worked at Microsoft Open Technologies Inc. In the final days of my tenure there I had dismantled my workstation and dropped down to the MacBook Air and my trusty iPad 1st gen as an external monitor.